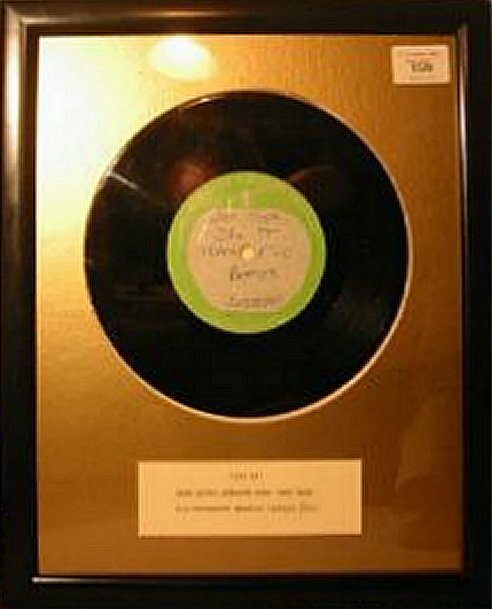 This was auctioned on eBay December 2003. See the item description below. It seems likely that this is the mix from the album,"Get Back" version 1 (side 2 track 5). It would also seem possible this was the acetate cut on 11 August 1969. Likewise, it would seem possible that this originally belonged to John. 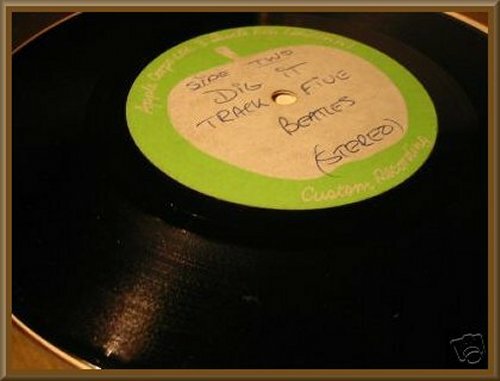 Who else would want an acetate of this song? RECORD (VISUAL): EX- has a couple of very faint hairlines and nothing more. RECORD (PLAY): EX?? I have now listened to this and with less than 24 hours to go I have upped the start bid. Why? Because I've just found out that this version of "Dig It" is FOUR MINUTES LONG whereas on the album it is a mere 30 seconds. 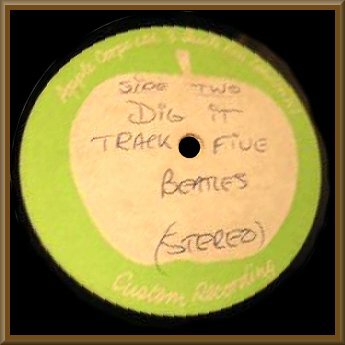 This is probably one of the only acetates of this beatles album track and most certainly is the only full length version you are EVER likely to hear. You can hear the edit they used amongst this "jam" and I doubt that there are many, if any, of this version in existence anywhere in the world in any format!